Dutched Up! 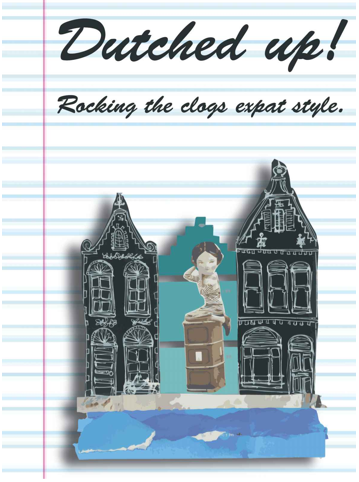 Rocking the Clogs Expat Style is an anthology of expat essays written by 27 smart, sassy and observant women, who have all relocated to the Netherlands. This collection of 49 essays, technically blog posts, details their personal experiences and observations gathered while attempting to find a place in Dutch society. The essays are arranged under 12 topics including – Culture Shock; Eating and Shopping; Biking; the Dutch Language; Working in the Netherlands; Marrying a Dutchie; Having Babies; Raising Your Kids; ending with, Leaving the Netherlands. For many expats, this arrangement is a familiar and logical transition through the Dutch expat experience. Essentially this is a book for women by women. The bloggers originate from different parts of the world and this influences how they experience what is going on around them. A good example can be found in the essay: How High Do Parents Raise the Bar (Lana Kristine Jelenev), with the author frustrated by an educational philosophy and program that many foreigners see as teaching children to be complacent with “voldoende” (or good enough) rather than encouraging children to push themselves to try and do their best (p82). This is a common topic frequently discussed by new expat parents sending their children to Dutch schools. Overall, this collection of essays about life in the Netherlands will resonate with many readers. Growing in popularity are expat blogs, books and magazines as the number of people becoming ‘global citizens’ increase. Reading the experiences of other expats, such as in Dutch Up! Rocking the Clogs Expat Style promotes acceptance that the unfamiliar and strange experiences that shake the confidence of new expat residents, are just part of the process of settling in to your new Dutch home.